Red Bull has come under fire for its advert suggesting that people journeying on the Titanic could have survived if they had drunk its products. The ad has racked up 79 complaints to the Advertising Standards Authority (ASA) over the past seven days. The Titanic Heritage Trust founder, Howard Nelson, has also said he is considering complaining to advertising regulators, branding the ad "offensive and just disrespectful". 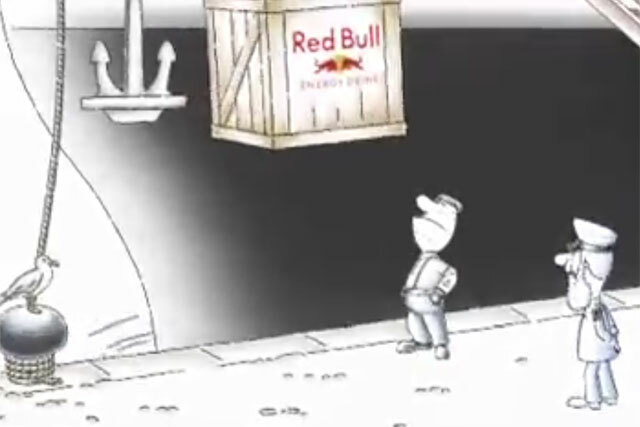 The ad, which runs under the brand’s strapline, "Red Bull gives you wings," shows two characters stood alongside a large ship, drawn in the brand’s recognisable cartoon style. One character is overseeing a crate of Red Bull’s being hoisted onto the ship, when a captain instructs him to take the energy drink off the ship. He says: "No, no, no take it down immediately, on my ship we only drink champagne." The worker replies, "Yes, but Red Bull gives you wings," to which the captain says, "Wings? Why on earth would you need wings on a ship? Stupidest thing I’ve ever heard". As the crate is lowered off the ship, the word "Titanic" is seen emplazoned on the side of the vessel and the captain walks off. The ASA said it is assessing the ad and will decided whether to launch an investigation or not in the next week.